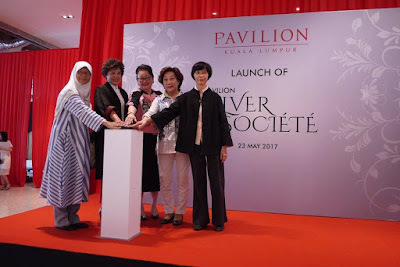 Pavilion KL, Malaysia’s premier shopping destination, has recently launched Pavilion Silver Société, a new exclusive privilege program for the silver society. With the aim of providing exciting and memorable shopping experiences through a variety of campaigns, Pavilion Silver Sociéte is targeted at Malaysian who are aged 55 years and above, where members will be able to enjoy leisure experiences, special celebrations and services from workshops during festive seasons, pampering services, birthday discounts and many more. Members of Pavilion Silver Sociéte will also get to enjoy exclusive discounts from over 250 tenants within the mall, as well as invitations to private events. 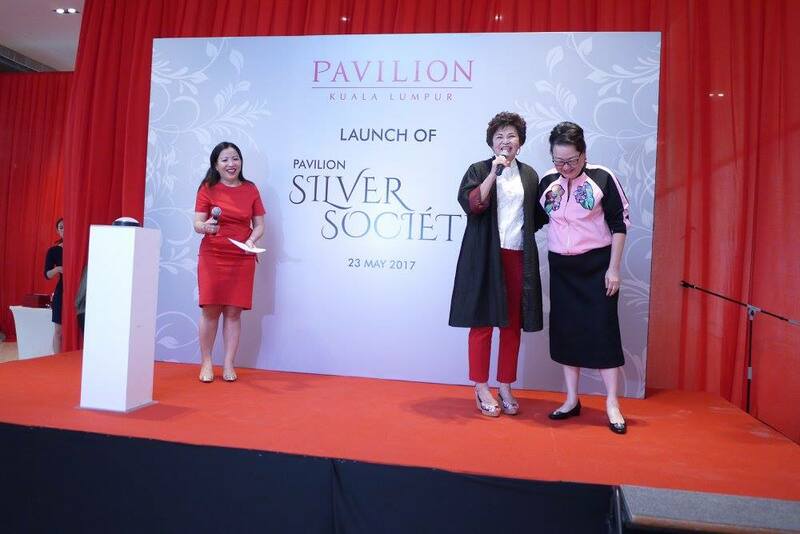 The launch ceremony happened on 23th May 2017 was attended by Dato’ Joyce Yap, CEO Retail of Pavilion KL and Tan Sri Dato’ Sri Dr Ng Yen Yen, former Minister of Tourism. 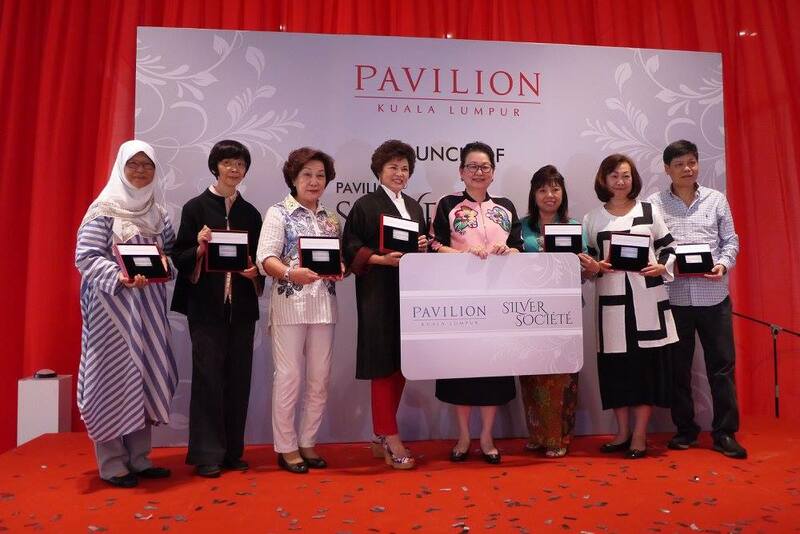 As a symbolic gesture to kick start the programme, both Dato’ Joyce Yap and Tan Sri Dato’ Sri Dr Ng Yen Yen were presented the first two Pavilion Silver Société membership cards signifying the first two official members of the programme. Pavilion KL will be collaborating with non-profit organisations and multi-national companies to engage Pavilion Silver Sociéte members. The first partner with the mall is Managedcare, an organisation providing consultancy and assistance for aged care. A Memorandum of Understanding (MOU) Agreement was signed between both parties at the launch to signify the joint partnership between both parties. “It is with great pleasure that we launch Pavilion Silver Société today. Whether we are ageing or not, it does not mean that we stop indulging in active and fulfilling lifestyles. To me, life begins when you hit 55. 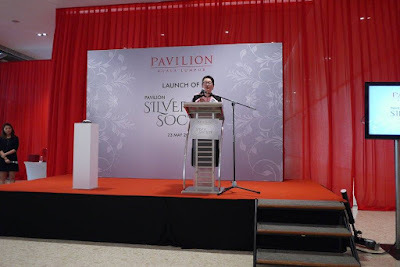 I hope that all shoppers aged 55 and above will embark on this journey with us and take advantage of Pavilion Silver Société,” said Dato’ Joyce at the event. The ceremony ended with a crowd-engaging dance performance by AMY Dancesport Centre. Led by Senior Champions of the Johor Bahru Open 2016 and KL Open 2016, Steven Loh and Rose May, they had performed a wonderful dance and proved that age is not an issue at all. For more information, kindly visit http://www.pavilion-kl.com/ or call +6-03-21188833. You can also like Pavilion Kuala Lumpur’s Facebook page at https://www.facebook.com/PavilionKL/ for more real-time updates.